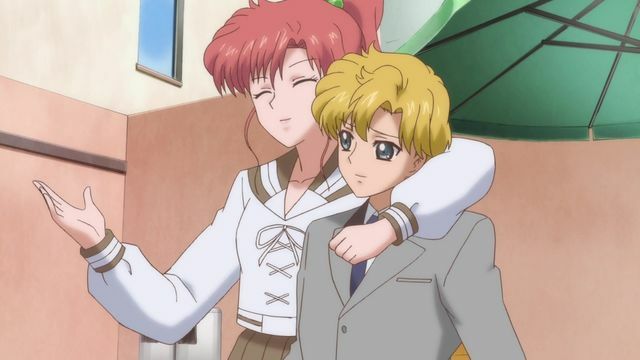 Much like Ami’s 300 IQ, this is an interesting issue of something that was a rumor in Sailor Moon itself, and that has spread out of the series to become a rumor among fans. It has now been around and a part of the fan community so long that we all just take it as fact. 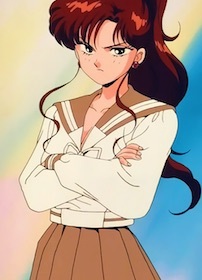 You see, if you were to ask nearly any random Sailor Moon fan on the street that you happened to walk past — and, let’s face it, that’s actually not a common occurrence — how Makoto came to Juban Junior High School, the typical answer you’d get is that she got kicked out for fighting and came to the new school. Alas, that’s not technically true. Though Umino does state this as the reason why Makoto has come to their school, he also states that this is just a story he’s heard. Putting aside for a second that Umino is a lying jerk who’s spreading malicious rumors about new students, ensuring that no one will come near them and leading poor Makoto to eat lunch alone until Usagi comes on it, I suppose there is a sense of logic to his story. After all, Makoto’s style of dress is pretty similar to what female gang members dressed like at the time. Read also: Is Sailor Saturn a Member of the Outer Senshi? So back to the streets we go, and this time looking with a more discerning eye for a true fan of Sailor Moon. Once we find our next interviewee and ask them for their take on Makoto, the next most likely answer that you’ll get is that she was heartbroken due to Freddy her upperclassman1 turning away her advances. 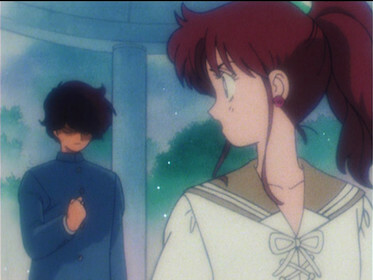 Considering how easily Makoto falls in love, I’ve always been of the mind that the thing with her upperclassman was rather that he just wasn’t interested and not that they were actually dating and he turned her away. Further supporting this is the fact that she doesn’t refer to him as her ex-boyfriend, but as her upperclassman. But this is all neither here nor there. We’re talking about why Makoto changed schools. Back to our well-informed Sailor Moon fan, they are mostly right. Makoto herself says in the manga that the she was heartbroken over her upperclassman and that continuing to be at that school was painful. And this actually tells us two things. Read also: How Different Was Makoto in the Anime and the Manga? First off, that Makoto was definitely not kicked out of her last school for fighting. Second, that though Makoto was troubled by being rejected (regardless of what their relationship was like prior to that rejection) by her upperclassman, that actually isn’t what made her decide to change schools. Rather, it was the sense that there was something important waiting for her. Possibly the same voice that called out to Mamoru, beckoning him to get the Silver Crystal? Maybe it was Princess Serenity, calling Makoto to Usagi’s side to protect her. … or maybe just Luna, hiding behind a rock. Who knows! So anyway, at least that puts this story to rest, however mundane the answer may be. But it still leaves a lot unexplained for me with regard to what her relationship was like with the unknown and unseen heartbreaker. What do you think the nature of their relationship was? Do you think it was something deeper, that Makoto wouldn’t have reacted as strongly as she did over a simple crush? Or was this a case of unrequited love that was so strong that Makoto couldn’t bear to imagine seeing him with someone else? I’d love to know your take! 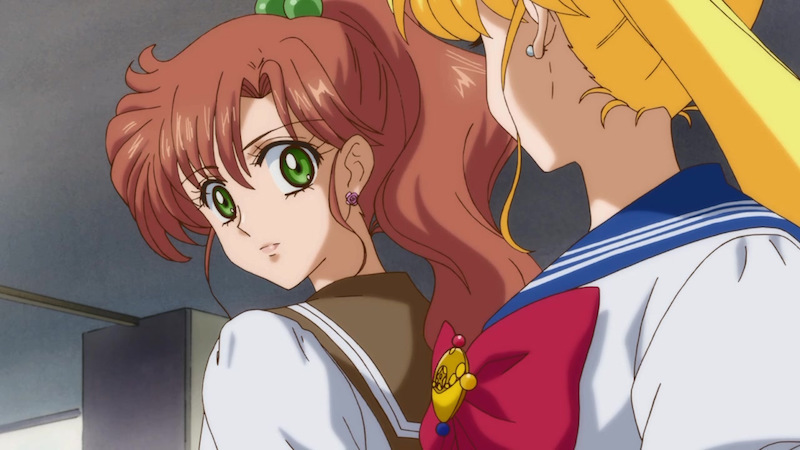 ← How Absurdly Expensive Was Haruka and Michiru’s Rent in Sailor Moon? That’s really interesting, thanks for posting it. It was just destiny that brought her there, and I kind of like that. It’s a lot better than the story about getting in a fight… and all this time, myself and so many others just assumed Umino’s story was accurate. Btw. the kicked out story is also quite unlikely due to another fact. Except her former jhs was a private school, public jhs is compulsory, and they can’t just kick out any Japanese citizen as that would deprive them of their constitutional right of education. And if Makoto really had done something that would lead to a kick out of the local private jhs, the public jhs in her area would have been obliged to take her in. And Makoto just doesn’t look like someone who would do something really bad. But, well, it’s not that animes really care about constitutional rights. Letting Usagi stay outside would result, too, in deprivation of education. And having them stand holding their table up as in Fushigi Yuugi would be a form of corporal punishment and thus forbidden under the law. You’re right about the first half that kicking her out of school is something you almost never see in Japan, either back then or nowadays. I’m sure there are extreme examples where a school would be justified in expelling a student, but it’s practically unheard of. So, yeah, it’s important to remember that these anime are over 20 years old now! I took the teacher’s course from 2002-2004, and I clearly remember E-sensei saying that having students leave the classroom undercuts their right of education under the current rules. To check out the situation, one would need to check the official start of the laws and guidelines at that time. But it’s actually closer to SM’s time than now so there’s a good chance we are talking the same. Not that Mangakas bother too much about current rules (e.g. Setsuna). Well, that said, corporal punishment has also been banned for at least 15 years (E-sensei especially told us that it’s not only hitting but also bougen – aggressive words- and traditional punishments like having to sit them in seiza for extended periods of time), still you get the cases on the news now. And I suspect they are most certainly just the tip of the iceberg. Did further research on the subject (because I get a bit obsessed, as I’m sure you’ve noticed). Corporal punishment to the extent that it wouldn’t cause any excessive pain or injury to the person doing it actually is still allowed. This includes sitting 正座 (seiza) style for prolonged periods of time and, I assume, would also be okay in the table-holding example you provided. Still, considering that teachers striking students is still a problem in Japan and that Japanese tend to not litigate in court, I’d say that I still wouldn’t be surprised if punishments like this were still taking place in the early 90s.